Earn renown by leading an ancient army to victory. Whether you are attending a historical event or theatrical production, step fully into your role with the Roman Commander Greaves. 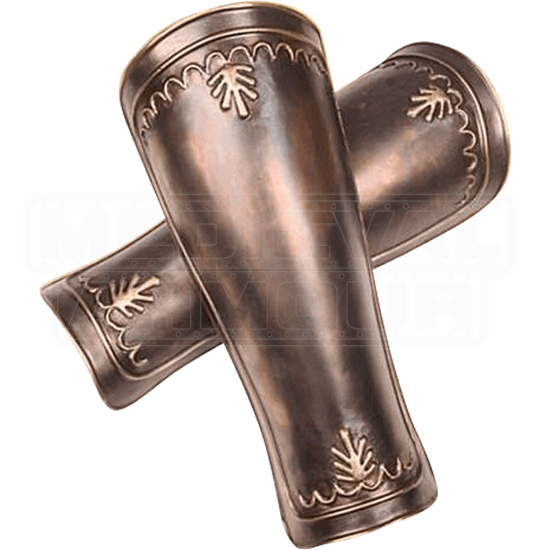 These detailed leg guards are fit for any officer. Crafted from steel, these greaves possess an antique brass finish. An embossed leaf symbol decorates both the lower and upper cuffs. A suede leather lining and rolled edges provide enhanced comfort. Thick leather lacing allows you to customize the fit. Create a name for yourself, and become worthy of legend, while wearing the Roman Commander Greaves.